A driver from University Place told reporters that police never responded to his call about a crash on an I-5 off-ramp. He was able to move his car to a side street and spoke with the driver who hit up, but the man took off without exchanging information when it was clear that the police would not show up. The injured driver ended up having to drive himself to the hospital with a concussion sustained in the motor vehicle accident. The Washington State Patrol gave the driver contradictory information about what to do after the crash. Two people were rushed to the hospital on Saturday night after the single-person bicycle they were riding on together slammed into the side of a Metro bus. A man sustained life-threatening injuries in the bicycle accident and died at Harborview Medical Center; a woman sustained serious injuries. King County Metro Transit and the Seattle Police are investigating the accident. The bus driver was examined by a police drug recognition expert, who found no signs of impairment. A motorcyclist who rear-ended a stopped pickup on Saturday truck was thrown off his bike and ended up landing in the truck’s bed. He was airlifted to Harborview Medical Center, where he was listed in serious but improving condition. No injuries were reported to the driver of the pickup truck. One woman died on Sunday after another car crossed the center line on Highway 291 and slammed into her vehicle head-on. The impact was so extreme that one of the cars involved lost its engine. Four other people involved in the wreck were transported to hospitals; two were in critical condition and needed to be airlifted. Neighbors who live in the area of the crash told reporters that the road, which has a speed limit of 50 miles per hour, is known to be dangerous and should be reduced to a safer limit of 35 miles per hour. A child died and her mother sustained injuries after their car hit a parked truck. Police say that the woman who was driving crossed the center line before slamming into the pickup truck, which was unoccupied. The Washington State Patrol is investigating the facts of the accident. Washington State Troopers are investigating the possibility that a car went into the water near the Hood Canal Bridge. A section of cable railing on the bridge’s lower deck was damaged, and a state bridge worker who would have been driving a pickup through the area round that time was reported missing. The area was closed to marine traffic while drivers searched for the possibly submerged vehicle on Tuesday. 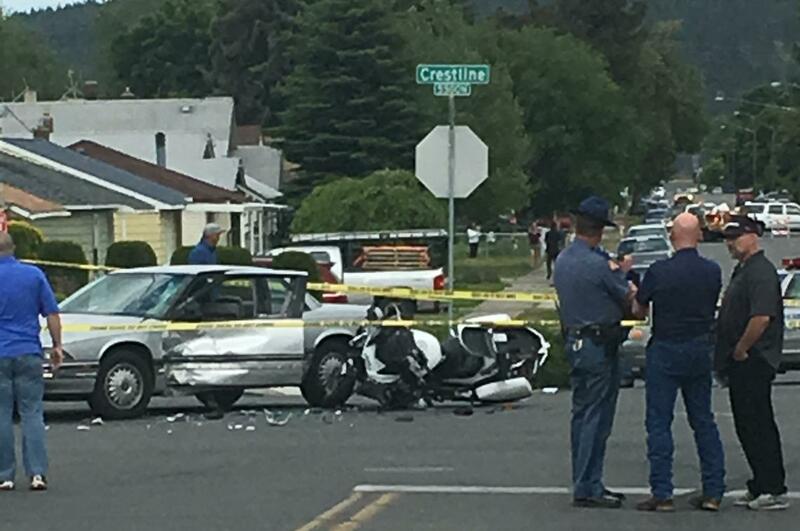 A motorcycle officer with the Spokane Police Department was injured in a collision while pursuing two speeding cars on Thursday afternoon. The officer had his lights and siren on and was chasing two cars that were travelling at high speeds and may have been racing each other. He hit a third car that was travelling through an intersection that does not have a traffic light. The officer was initially thought to have serious injuries, but he was able to stand and walk shortly after arriving at the hospital.